I crave – These Two Eyes! The first bite is nearly indescribable. On my fork is a piece of romaine, a crumb of blue cheese, a sliver of apple-wood smoked bacon and the money shot, a morsel of fried chicken doused in buffalo sauce. Mmm, delicious. It’s not uncommon that I get asked about the food I crave from back home. Typically I just respond that nothing specific comes to mind. But it’s not until I step off the plane onto US soil and get the first grumble in my stomach that I hunger after all the foods, healthy or not, that I don’t have the opportunity to indulge in regularly here in Australia. 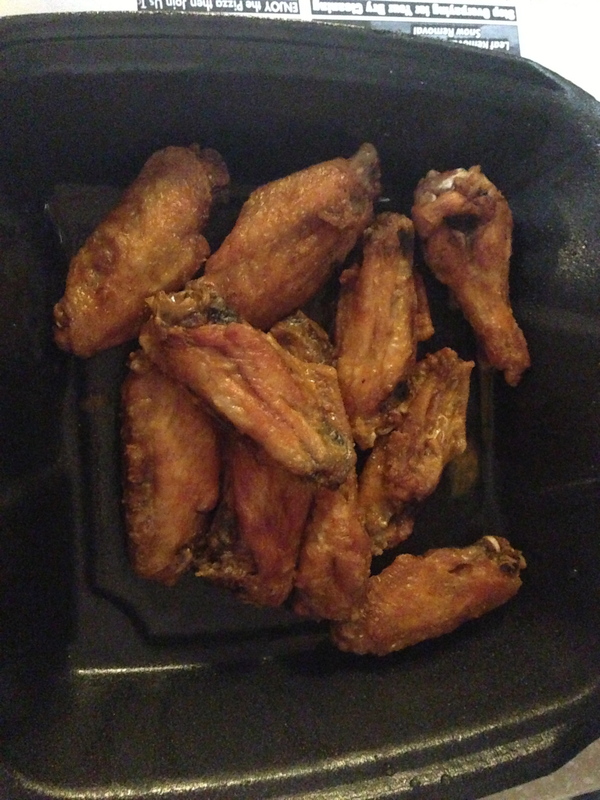 I’ve yet to taste the sweet and spicy combination of buffalo sauce, a hot sauce mixed with various spices, vinegar and butter usually poured over fried chicken wings, hence famous Buffalo chicken wings. A big salad with buffalo chicken or chicken wings with a side of celery and blue cheese dip is always a hot item (literally) on my list. Then again, no visit to Philly or South Jersey is ever complete without a traditional Philly cheesesteak. Thinly chopped steak on an Italian roll with provolone or Cheese Whiz, with or without (onions) is the customary way to go. It’s quite contested who has the best steak in town but if I’m around for just a short time, I’ll take any I can get my hands on. 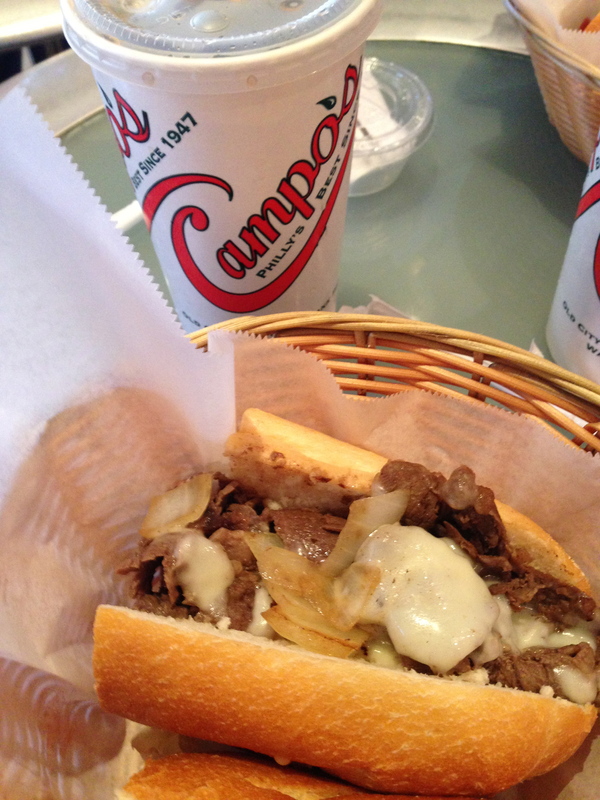 Luckily for me on my last trip home over the holidays I had the pleasure of trying Campos Deli for the first time, voted Best of Philly. But no cheesesteak is complete without a Yuengling, my favorite everyday lager and the oldest brewery in America. Plus, you can’t beat the price of a 6-pack for $6 compared to the appalling price of about $18 in Australia for just a mediocre brew. Additionally, nothing compares to the convenience, quality and sheer volume of Wawa convenience stores. 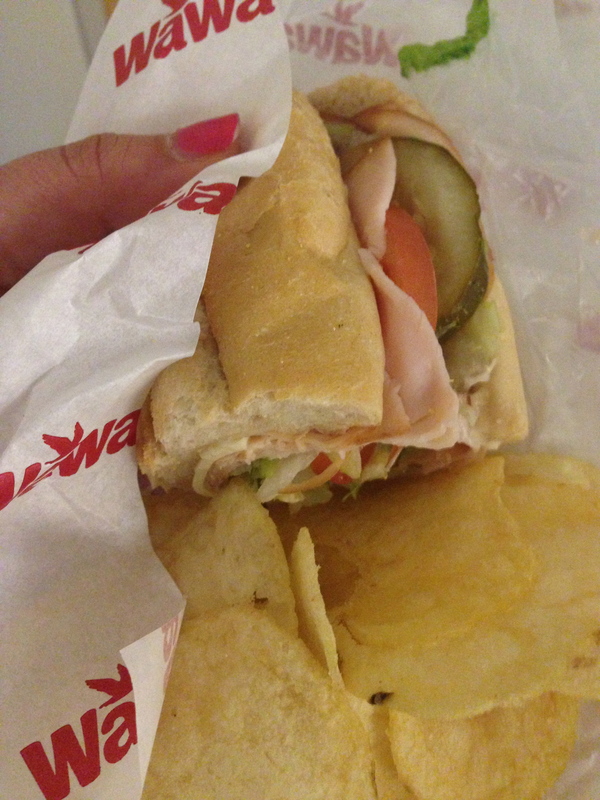 Growing up, there were four Wawa’s in my town and I got accustomed to quality deli sandwiches made to order. Little did I know how rare it was to find such superiority. Nothing beats a Wawa hoagie, South Jersey slang for sub or sandwich on a long roll. I wouldn’t dare walk into a 7Eleven and order food from over the counter. Once you go Wawa there is no going back. 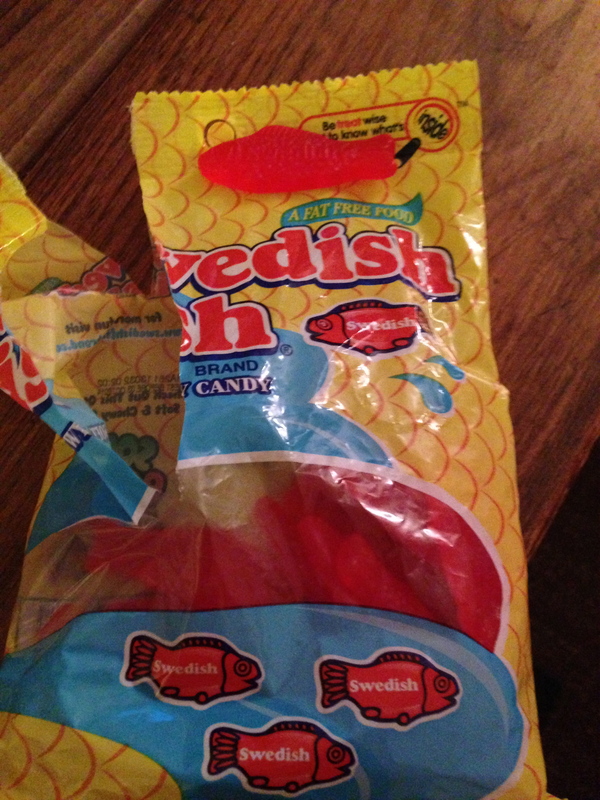 And if I could choose to be a kid again I would go to a Wawa and pick up candy that I can only find readily in the US, like Hot Tamales, Red Vines, Sour Patch Kids and Swedish Fish. I’m lucky that family and friends usually remember this bit and I’m welcomed with at least one of the above. I usually split my time between Philly/South Jersey and NYC. The city that never sleeps doesn’t fail to offer a variety of cuisines but when all is said and done, nothing beats a New York pizza slice. Think every topping you can imagine in every combination. 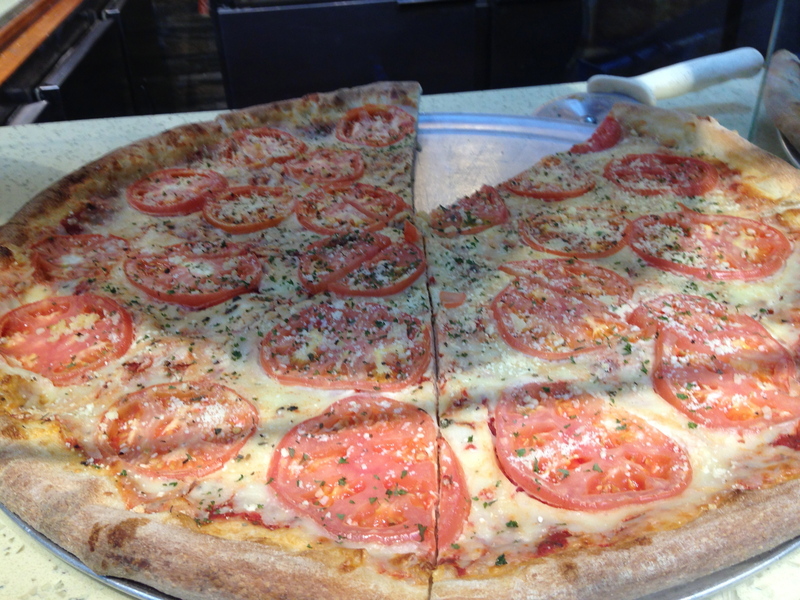 Imagine one slice is larger than your face, and all for the price of a few dollars. Even better, you can find a slice on nearly every block at all hours of the day or night. And while in New York a few weeks back I walked out of the cold and into a deli and just stood there in shock for a moment. I then said out loud, “Wow, look at all of this!” My friend responded, “Are you serious? What? 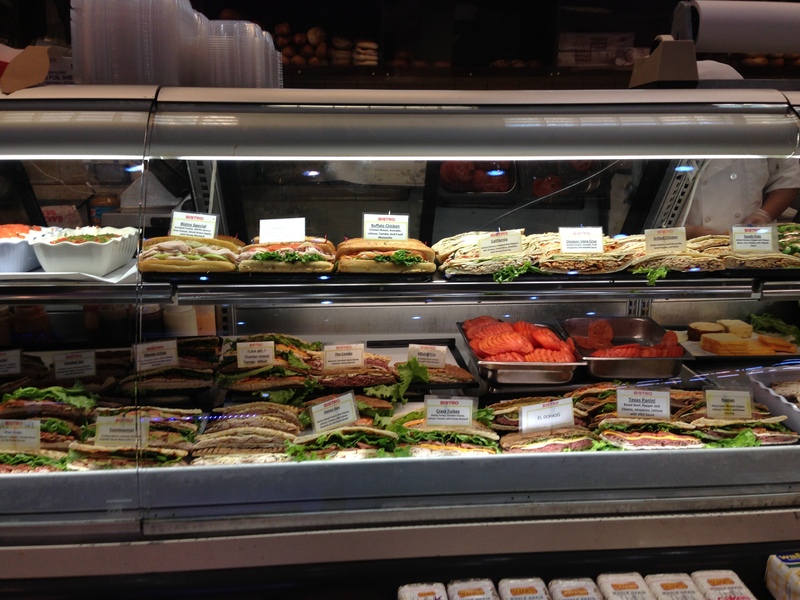 You don’t have deli’s like this in Australia?” How could I have forgotten about the excellence of a NYC deli Panini or bagel smeared with an inch thick splattering of cream cheese. There’s nothing like it anywhere in the world. On the flipside, Australia has recently put their footprint on Manhattan. It started with one simple store and now it’s grown to many – Pie Face has invaded. The classic Aussie late night snack, the iconic meat pie, is now all over Manhattan. To my pleasant surprise the NYC stores carry classics such as beef and cheese, Thai chicken curry (favorite), and spinach rolls but also add an American twist by offering barbecued pulled pork and Philly cheesesteak pies. My worlds have collided. Never leave on a road trip without a WaWa stop!! Raiding the candy isle is a sacred tradition. Glad you got to have all your favs while in town.